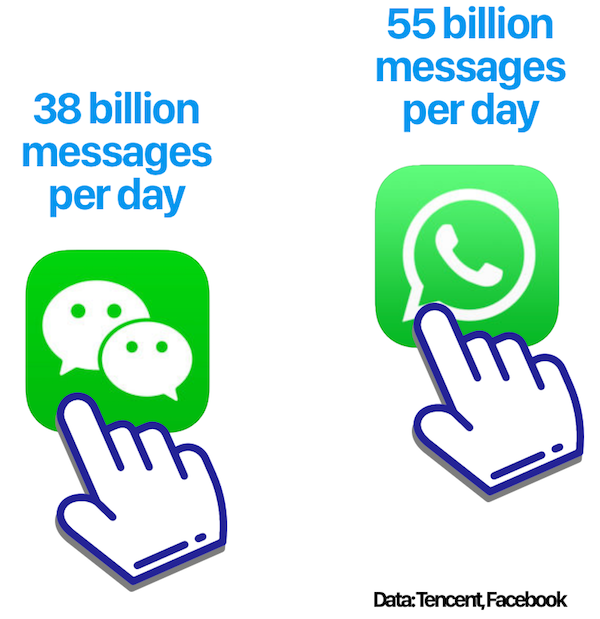 The chatty users of WeChat have just set a new record, sending 38 billion messages per day. That’s 25 percent more than last year. Image credit: Tech in Asia.